No matter the reason, you might find yourself in the position you want to find out if someone is a felon or not. It might be a person you want to hire, a neighbor or just your daughter’s boyfriend. It is easier than you believe to look up convicted felons and search peoples felony charges and convictions if they have any. Criminal convictions and charges are public record, so this means that they are available to anyone interested. Someone’s criminal background or that fact that a person is a felon is not a secret that he or she can keep. More than that, the information is also available online, as courts all over the country are working to make people’s access to felony records and other types of public information easy to get. If you know the person’s full name and if you can also find out when he or she was born, the criminal records of that person are just a few clicks away online. What you need to do in the first place is to gather some information about the person you want to find out about. Make sure you know the person’s full name; this means their first name, last name and even middle name or initial. Before proceeding to search convicted felons and or public records about a person , you might also want to know the person’s date of birth and or social security number. This will turn out to be useful when you want to check if a certain conviction record really belongs to that person and not to somebody with a similar name. If the person has a common name, the date of birth and SSN becomes an almost compulsory criterion, as you don’t want to confuse him or her with somebody else with a criminal past. Using the person’s DOB and or SSN is one of the easiest and best ways to search for convicts and to find out if someone is a convicted felon. Once you have this information you can start searching. Courts in every state keep records on the criminals that were judged or sentenced there, so the state, county or town that person lives in might be a good starting point. Begin with the courts that are located in that area or near it. Check out the National Center for State Courts website, as it provides a list with websites belonging to state courts all over the country. Once you have found the link to the state court you are interested in, go to that website and you will find directions in order to perform your search for criminal charges, felony conviction records, court cases and more. These differ from website to website. Washington State, for instance, allows you to do a felon search by name in each county and both in criminal cases or civil cases. I just did a Google search and found another website called Felon Spy. 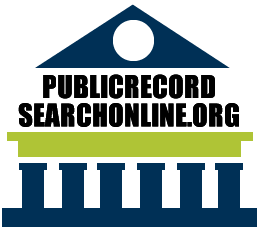 You can use this website to find felons on your street address, city and state. That makes it a bit easier to do a felony record check in your area. If it turns out that the person you searched for is an ex convict or is presently facing criminal charges, there are also other details available on line. You can lookup felons by the number of their court case, when they were convicted and if the case is still open or pending trial. The criminal court case file is not usually available online. There are just a few state courts that actually put the case files online, so if you want to take a look at it, you most likely need to go to the court where the sentence was pronounced or the case is being judged.